Goodbye (for now), margaritas; hello, holiday cocktails. Now that we’ve finally transitioned out of the summer heat, it’s time to indulge in some flavors more appropriate to the winter months. We checked in with our friends at Forman’s Whiskey Tavern on Riverside to see what they recommend for seasonal sipping. The team at Forman’s will happily prepare one of these signature cocktails if you drop by, but if you want to turn mixologist at home, we scored the recipe for you. Cheers! Slice three whole Madagascar vanilla beans lengthwise and in half, and put into the bottle of Angostura bitters. Let rest for three days before using. Bring water to a boil, add the rosemary sprigs and boil for 8 minutes. Remove the rosemary, add the granulated sugar and stir until dissolved. Let cool before using. Store in the refrigerator. Stir all ingredients in a cocktail mixing glass, then strain into a double Old Fashioned glass with an ice sphere. 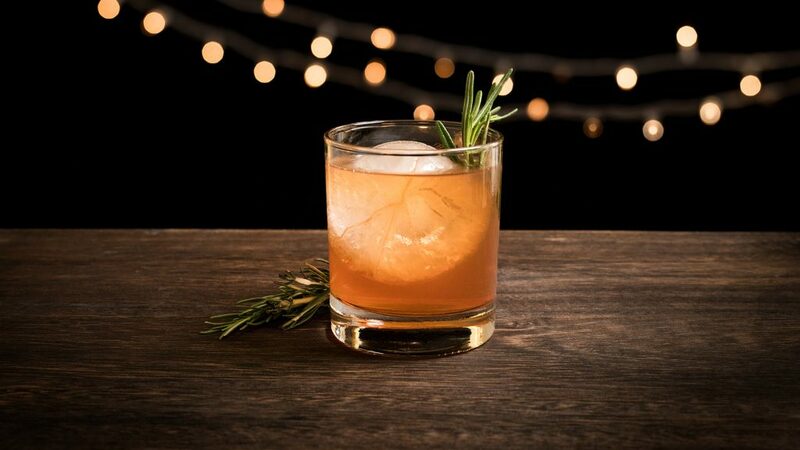 Garnish with a rosemary sprig and enjoy!